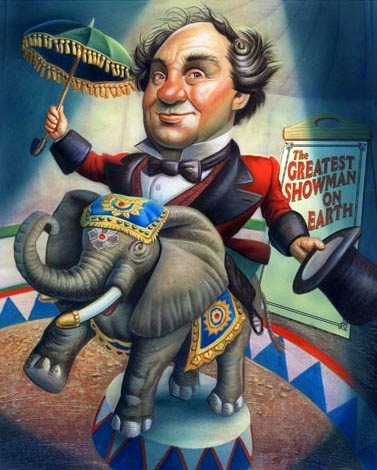 That's right, this month the legendary P. T. Barnum, is my icon of the month. 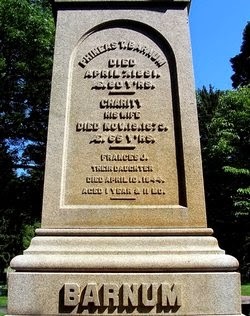 Phineas Taylor Barnum was born on July 5 in 1810 in Bethel, Connecticut, the son of inn keeper, tailor and store-keeper Philo Barnum (1778–1826) and second wife Irene Taylor. He was the third great grandson of Thomas Barnum (1625–1695), the immigrant ancestor of the Barnum family in North America. His maternal grandfather Phineas Taylor was a Whig, legislator, landowner, justice of the peace, and lottery schemer, and he had a great influence on his favorite grandson. Barnum was adept at arithmetic but hated physical work. He started as a store-keeper, and he learned haggling and using deception to make a sale. He was involved with the first lottery mania in the United States. At the age of 19, he married Charity Hallett. The young husband had several businesses: a general store, a book auctioning trade, real estate speculation, and a state-wide lottery network. He became active in local politics and advocated against blue laws promulgated by Calvinists who sought to restrict gambling and travel. Barnum started a weekly paper in 1829, The Herald of Freedom, in Danbury, Connecticut. His editorials against church elders led to libel suits and a prosecution which resulted in imprisonment for two months, but he became a champion of the liberal movement upon his release. 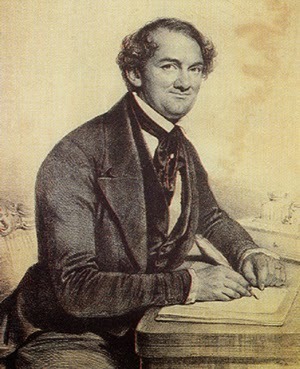 In 1834, when lotteries were banned in Connecticut, cutting off his main income, Barnum sold his store and moved to New York City. In 1835 he began as a showman with his purchase and exhibition of a blind and almost completely paralyzed slave woman, Joice Heth, claimed by Barnum to have been George Washington's nurse, and to be over 160 years old. Joice Heth died in 1836, no more than 80 years old. After a year of mixed success with his first variety troupe called "Barnum's Grand Scientific and Musical Theater," followed by the Panic of 1837 and three years of difficult circumstances, he purchased Scudder's American Museum, at Broadway and Ann Street, New York City, in 1841. Barnum improved the attraction, renamed "Barnum's American Museum," upgrading the building and adding exhibits, and it became a popular showplace. Barnum added a lighthouse lamp which attracted attention up and down Broadway and flags along the roof's edge that attracted attention in daytime. From between the upper windows, giant paintings of animals drew stares from pedestrians. The roof was transformed to a strolling garden with a view of the city, where he launched hot-air balloon rides daily. A changing series of live acts and curiosities, including albinos, giants, midgets, fat boys, jugglers, magicians, exotic women, detailed models of cities and famous battles, and, eventually, a menagerie of animals were added to the exhibits of stuffed animals. 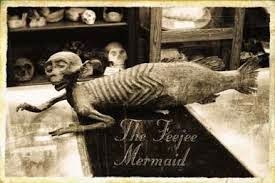 In 1842, Barnum introduced his first major hoax, a creature with the head of a monkey and the tail of a fish, known as the "Feejee Mermaid". Barnum leased the "mermaid" from fellow museum owner Moses Kimball of Boston. Kimball became his friend, confidant, and collaborator. Barnum described his hoaxes and justified the act of perpetrating them by saying they were "advertisements to draw attention...to the Museum. I don't believe in duping the public, but I believe in first attracting and then pleasing them". Later, he crusaded against fraudsters. 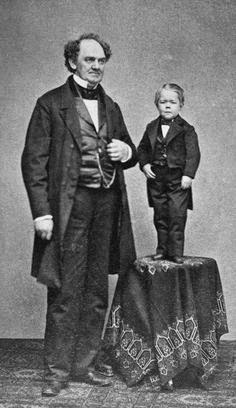 Barnum followed that with the exhibition of Charles Stratton, the dwarf "General Tom Thumb" ("the Smallest Person that ever Walked Alone") who was then four years of age but was stated to be 11. With heavy coaching and natural talent, the boy was taught to imitate people from Hercules to Napoleon. By five, he was drinking wine and by seven smoking cigars for the public's amusement. Though exploited, Tom Thumb enjoyed his job and had a good relationship with Barnum, free of bitterness. In year 1843 Barnum hired the traditional Native American dancer fu-Hum-Me, the first of many Native Americans he presented. 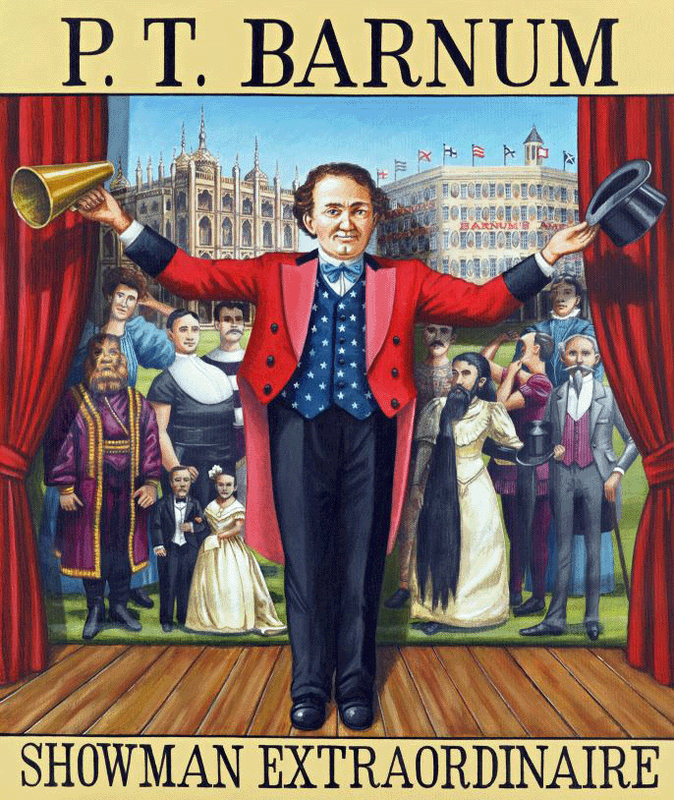 During 1844–45, Barnum toured with Tom Thumb in Europe and met Queen Victoria, who was amused and saddened by the little man, and the event was a publicity coup. It opened the door to visits from royalty across Europe including the Czar of Russia and let him acquire dozens of attractions, including automatons and other mechanical marvels. He was almost able to buy the birth home of William Shakespeare. Barnum was having the time of his life, and for all of the three years abroad with Thumb, except for a few months when his serious, nervous, and straitlaced wife joined him, he had piles of spending money, food and drink, and lived a carefree existence. On his return to New York, he went on a spending spree, buying other museums, including Peale's museum in Philadelphia, the nation's first major museum. 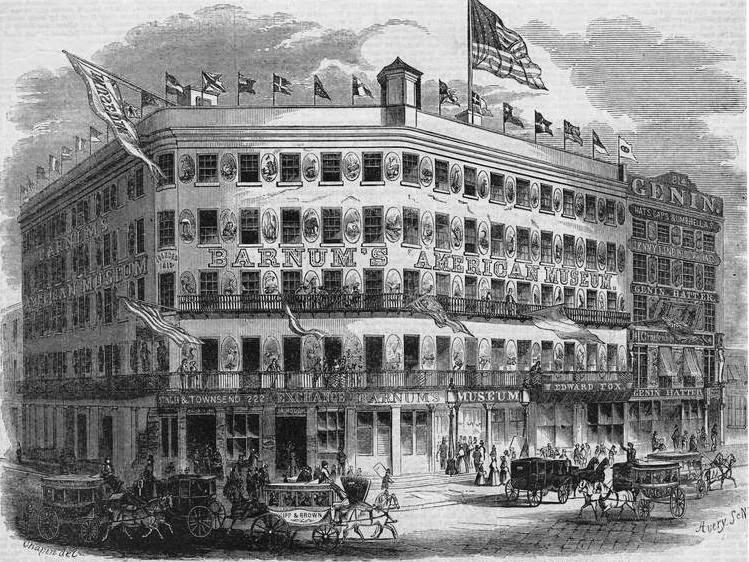 By late 1846, Barnum's Museum was drawing 400,000 visitors a year. A risky decision of Barnum's established him as a legitimate impresario. 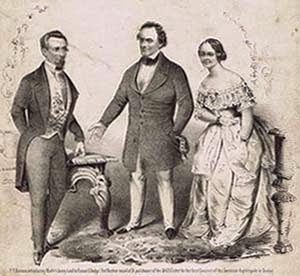 During his Tom Thumb tour of England, Barnum had become aware of the popularity of Jenny Lind, the "Swedish Nightingale". Lind's career was at its height in Europe. She was unpretentious, shy and devout, and possessed a crystal-clear soprano voice projected with a wistful quality and earnestness that audiences found touching. Barnum had never heard her and conceded to being unmusical himself. He approached her to sing in America at $1,000 a night for 150 nights, all expenses paid by him. He knew that his risk was great, noting: "'The public' is a very strange animal, and although a good knowledge of human nature will generally lead a caterer of amusement to hit the people right, they are fickle and ofttimes perverse." But Barnum was confident that her reputation for morality and philanthropy could be turned to good use in his publicity. Lind demanded the fee in advance. Barnum agreed, and she accepted the offer, which would permit her to raise a huge fund for charities, principally endowing schools for poor children in Sweden. To raise the fee, Barnum borrowed heavily on his mansion and his museum. Still slightly short, he persuaded a Philadelphia minister, who thought that Lind would be a good influence on American morals, to lend him the final $5,000. The contract also gave Lind the option of withdrawing from the tour after sixty or one hundred contracts, paying Barnum $25,000 if she did so. Lind and her small company sailed to America in September 1850. As a result of Barnum's months of preparations, Lind was a celebrity even before she arrived in the U.S., and close to 40,000 greeted her at the docks and another 20,000 at her hotel, the press was in attendance, and "Jenny Lind items" were available. When she realized how much money Barnum stood to make from the tour, Lind insisted on a new agreement, which he signed on September 3, 1850. This gave her the original fee plus the remainder of each concert's profits after Barnum's $5,500 management fee was paid. She was determined to accumulate as much money as possible for her charities. The tour began with a concert at Castle Garden on September 11, 1850 and was a major success, recouping Barnum four times his investment. Washington Irving proclaimed, "She is enough to counterbalance, of herself, all the evil that the world is threatened with by the great convention of women. So God save Jenny Lind!" Tickets for some of her concerts were in such demand that Barnum sold them by auction. The enthusiasm of the public was so strong that the American press coined the term "Lind mania". The blatant commercialism of Barnum's ticket auctions distressed Lind, and for her second concert and thereafter, she persuaded him to make a substantial number of tickets available at reduced prices. On the tour, Barnum's publicity always preceded Lind's arrival and whipped up enthusiasm (he had up to 26 journalists on his payroll). After New York, the company toured the east coast of America, with continued success, and later took in Cuba and the southern states of the U.S. By early 1851, Lind had become uncomfortable with Barnum's relentless marketing of the tour, and she invoked a contractual right to sever her ties with him. They parted amicably, and she continued the tour for nearly a year under her own management. Lind gave 93 concerts in America for Barnum, earning her about $350,000; Barnum netted at least $500,000. Using profits from the Lind tour, Barnum's next challenge was to change public attitudes about the theater. Widely seen as 'dens of evil,' Barnum wanted to position them as palaces of edification and delight, and as respectable middle-class entertainment. He built the city's largest and most modern theater, naming it the "Moral Lecture Room." He hoped this would avoid seedy connotations and attract a family crowd and win the approval of the moral crusaders of New York City. He started the nation's first theatrical matinées, to encourage families and to lessen the fear of crime. He opened with The Drunkard, a thinly disguised temperance lecture (he had become a teetotaler after returning from Europe). He followed that with melodramas, farces, and historical plays, put on by highly regarded actors. He watered down Shakespearean plays and others such as Uncle Tom's Cabin to make them family entertainment. In the early 1850's, Barnum began investing to develop East Bridgeport, Connecticut. He made substantial loans to the Jerome Clock Company, to get it to move to his new industrial area. But by 1856, the company went bankrupt, taking Barnum's wealth with it. This started four years of litigation and public humiliation. Ralph Waldo Emerson proclaimed that Barnum's downfall showed "the gods visible again" and other critics celebrated Barnum's moral comeuppance. But his friends supported him, and Tom Thumb, now touring on his own, offered his services and they undertook another European tour. 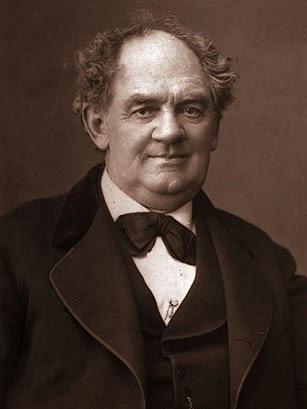 Barnum also started a lecture tour, mostly as a temperance speaker. By 1860, he emerged from debt and built a mansion "Lindencroft" (his palace "Iranistan" had burnt down in 1857) and he resumed ownership of his museum. 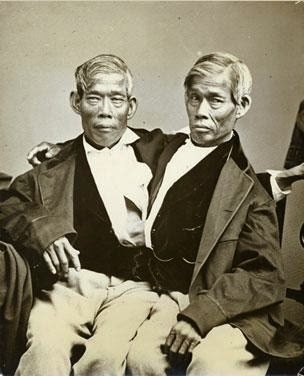 Late in 1860, the Siamese Twins, Chang and Eng, came out of retirement (they needed more money to send their numerous children to college). The Twins had had a touring career on their own and went to live on a North Carolina plantation with their families and slaves, under the name of "Bunker." They appeared at Barnum's Museum for six weeks. Also in 1860, Barnum introduced the "man-monkey" William Henry Johnson, a microcephalic black dwarf who spoke a mysterious language created by Barnum. 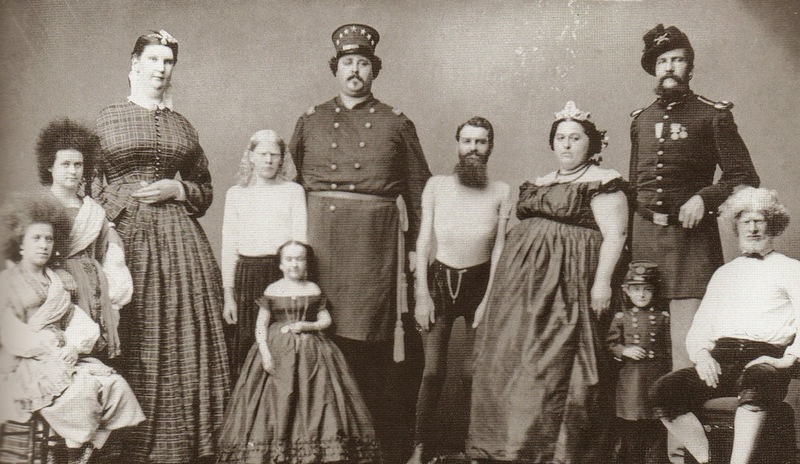 In 1862, he discovered the giantess Anna Swan and Commodore Nutt, a new Tom Thumb, with whom Barnum visited President Abraham Lincoln at the White House. During the Civil War, Barnum's museum drew large audiences seeking diversion from the conflict. He added pro-Unionist exhibits, lectures, and dramas, and he demonstrated commitment to the cause. 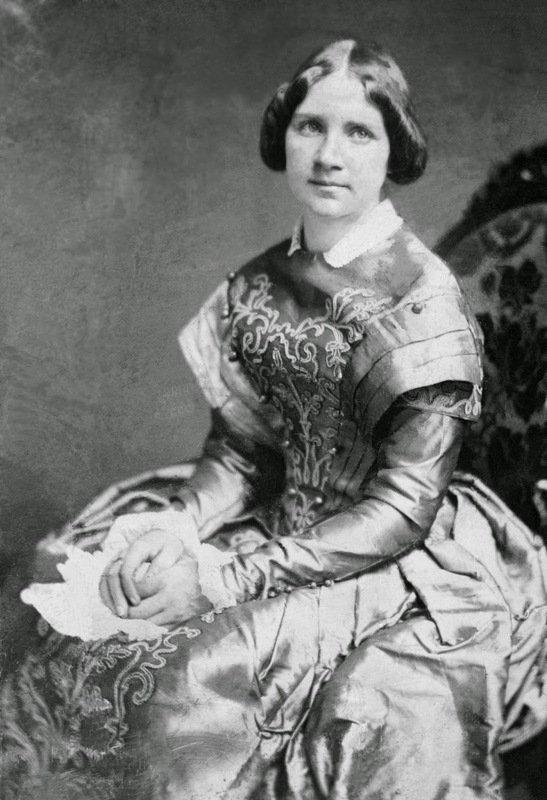 For example, in 1864 Barnum hired Pauline Cushman, an actress who had served as a spy for the Union, to lecture about her "thrilling adventures" behind Confederate lines. Barnum's Unionist sympathies incited a Confederate arsonist to start a fire in 1864. 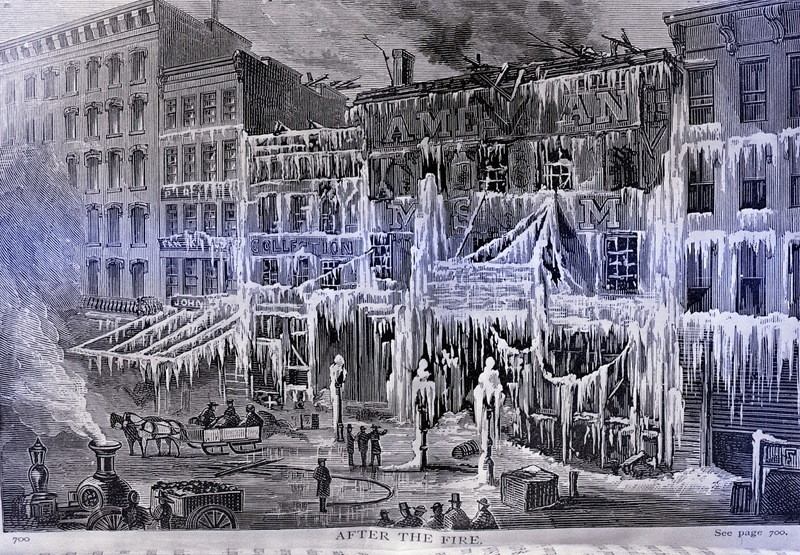 On July 13, 1865, Barnum's American Museum burned to the ground from a fire of unknown origin. Barnum re-established the Museum at another location in New York City, but this too was destroyed by fire in March 1868. This time the loss was too great, and Barnum retired from the museum business. Barnum did not enter the circus business until he was 61 years old. In Delavan, Wisconsin in 1871 with William Cameron Coup, he established "P. T. Barnum's Grand Traveling Museum, Menagerie, Caravan & Hippodrome," a traveling circus, menagerie and museum of "freaks." It went through various names: "P.T. Barnum's Travelling World's Fair, Great Roman Hippodrome and Greatest Show On Earth," and after an 1881 merger with James Bailey and James L. Hutchinson, "P.T. Barnum's Greatest Show On Earth, And The Great London Circus, Sanger's Royal British Menagerie and The Grand International Allied Shows United," soon shortened to "Barnum & Bailey's." This entertainment phenomenon was the first circus to display 3 rings, which made it the largest circus the world had ever seen. The show's first primary attraction was Jumbo, an African elephant he purchased in 1882 from the London Zoo. The Barnum and Bailey still contained similar acts as to his Traveling Menagerie: acrobats, freak shows, and the world famous General Tom Thumb. Despite more fires, train disasters, and other setbacks, Barnum plowed ahead, aided by circus professionals who ran the daily operations. He and Bailey split up again in 1885, but came back together in 1888 with the "Barnum & Bailey Greatest Show On Earth," later "Barnum & Bailey Circus," which toured the world. 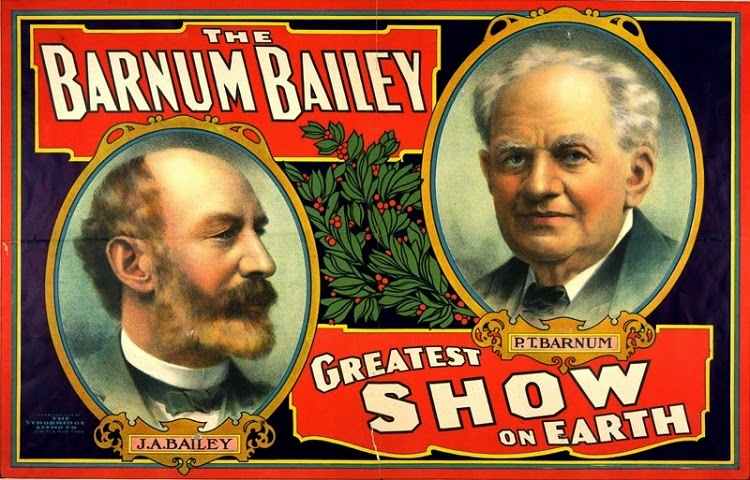 Barnum once wrote to Bailey, “I try to impress on the public that we are prepared to keep the show at the top of the heap for generations to come…” And that he did; Barnum became even more of a household name than he already was. Not only was he a business giant and marketing expert, but he became his own character in the show. He would ride around the arena in a chariot, prior to each performance. He was there, watching, supporting, and enjoyed the marvel and wonder he had created. Barnum became known as the Shakespeare of Advertising, due to his innovative and impressive ideas. He knew how to draw patrons in, by giving them a glimpse of something that had never been seen before. “Without promotion something terrible happens... Nothing!” he once said. He was, at times, accused of being deceptive and promoting false advertising. He simply indulged in the truth and made it seem more appealing. He knew what America wanted and he delivered. "Nobody ever lost a dollar by underestimating the taste of the American public, " Barnum stated. Barnum was one of the very first circus owners to move his circus by train. His friend, W.C. Coup, helped him get railroad cars to make his tour traveling easier. Given the lack of paved highways in America, this turned out to be a shrewd business move that vastly enlarged Barnum's geographical reach. In this new field, Barnum leaned on the advice of Bailey and other business partners, most of whom were young enough to be his sons. 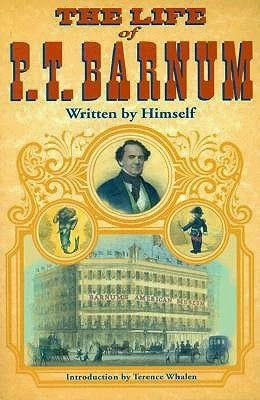 Barnum wrote several books, including Life of P.T. Barnum (1854), The Humbugs of the World (1865), Struggles and Triumphs (1869), and The Art of Money-Getting (1880). One of Barnum's more successful methods of self-promotion was mass publication of his autobiography. Barnum eventually gave up his copyright to allow other printers to sell inexpensive editions. At the end of the 19th century the number of copies printed was second only to the New Testament in North America. Often referred to as the "Prince of Humbugs," Barnum saw nothing wrong in entertainers or vendors using hype (or "humbug," as he termed it) in promotional material, as long as the public was getting value for money. However, he was contemptuous of those who made money through fraudulent deceptions, especially the spiritualist mediums popular in his day, testifying against noted spirit photographer William H. Mumler in his trial for fraud. Prefiguring illusionists Harry Houdini and James Randi, Barnum exposed "the tricks of the trade" used by mediums to cheat the bereaved. In The Humbugs of the World, he offered $500 to any medium who could prove power to communicate with the dead. Barnum was significantly involved in politics, focusing on race, slavery, and sectionalism in the period leading up to the American Civil War. He had some of his first success as an impresario through his slave Joice Heth. Around 1850, he was involved in a hoax about a weed that would turn black people white. Barnum was a producer and promoter of blackface minstrelsy. Barnum's minstrel shows often used double-edged humor. While replete with black stereotypes, Barnum's shows satirized as in a stump speech in which a black phrenologist (like all minstrel performers, a white man in blackface) made a dialect speech parodying lectures given at the time to "prove" the superiority of the white race: "You see den, dat clebber man and dam rascal means de same in Dutch, when dey boph white; but when one white and de udder's black, dat's a grey hoss ob anoder color." Promotion of minstrel shows led to his sponsorship in 1853 of H.J. Conway's politically watered-down stage version of Harriet Beecher Stowe's Uncle Tom's Cabin; the play, at Barnum's American Museum, gave the story a happy ending, with Tom and other slaves freed. The success led to a play based on Stowe's Dred: A Tale of the Great Dismal Swamp. His opposition to the Kansas-Nebraska Act which supported slavery, of 1854 led him to leave the Democratic Party to become a member of the new anti slavery Republican Party. He had evolved from a man of common stereotypes of the 1840's to a leader for emancipation by the Civil War. 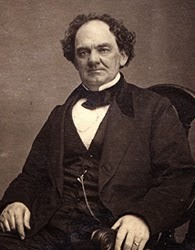 While he claimed "politics were always distasteful to me," Barnum was elected to the Connecticut legislature in 1865 as Republican representative for Fairfield and served four terrms. 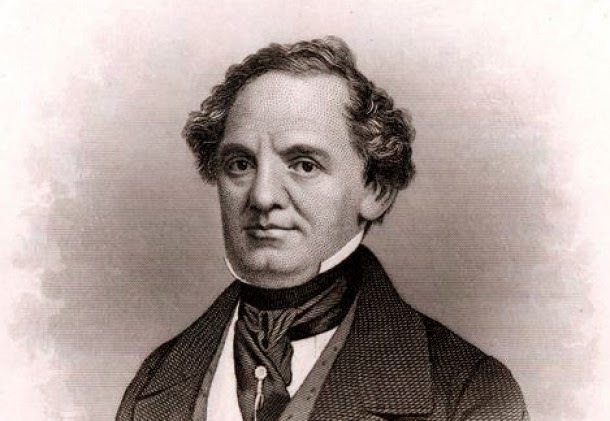 In the debate over slavery and African-American suffrage with the ratification of the Thirteenth Amendment to the United States Constitution, Barnum spoke before the legislature and said, "A human soul, ‘that God has created and Christ died for,’ is not to be trifled with. It may tenant the body of a Chinaman, a Turk, an Arab or a Hottentot – it is still an immortal spirit." Barnum was noteably the legislative sponsor of a law enacted by the Connecticut General Assembly in 1879 that prohibited the use of “any drug, medicinal article or instrument for the purpose of preventing conception" that remained in effect in Connecticut until being overturned in 1965 by the U.S. Supreme Court Griswold v. Connecticut decision. Barnum ran for the United States Congress in 1867 and lost. 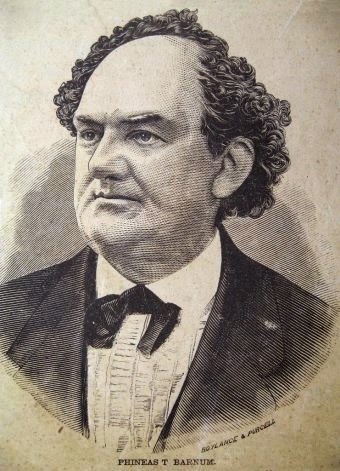 In 1875, Barnum as mayor of Bridgeport, Connecticut, worked to improve the water supply, bring gas lighting to streets, and enforce liquor and prostitution laws. Barnum was instrumental in starting Bridgeport Hospital, founded in 1878, and was its first president. Barnum enjoyed what he publicly dubbed "profitable philanthropy." In Barnum's own words: "I have no desire to be considered much of a philanthropist...if by improving and beautifying our city Bridgeport, Connecticut, and adding to the pleasure and prosperity of my neighbors, I can do so at a profit, the incentive to 'good works' will be twice as strong as if it were otherwise." In line with this philosophy was Barnum's pursuit of major American museums and spectacles. Less known are Barnum's significant contributions to Tufts University. Barnum was appointed to the Board of Trustees prior to the University's founding and made several significant contributions to the fledgling institution. The most noteworthy example of this was his gift in 1883 of $50,000 ($2,000,000 in 2014), to establish a museum and hall for the Department of Natural History, which today houses the department of biology. 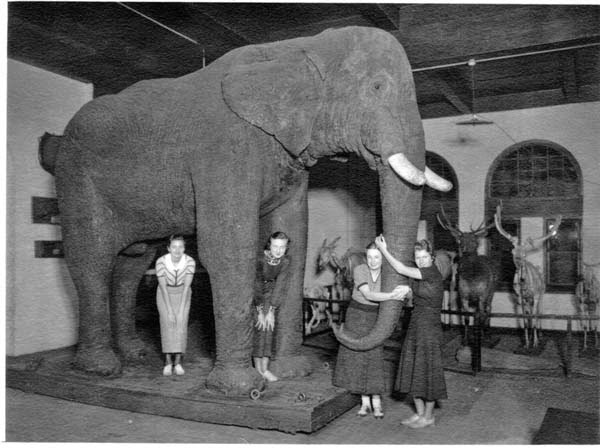 Because of the relationship between Barnum and Tufts, Jumbo the elephant became the school's mascot, and Tufts students are known as "Jumbos." At his death, most critics had forgiven him and he was praised for good works. Barnum was hailed as an icon of American spirit and ingenuity, and was perhaps the most famous American in the world. Just before his death, he gave permission to the Evening Sun to print his obituary, so that he might read it. On April 7 he asked about the box office receipts for the day; a few hours later, he was dead. In 1893, a statue in his honour was placed at Seaside Park, by the water in Bridgeport. Barnum had donated the land for this park in 1865. His circus was sold to Ringling Brothers on July 8, 1907 for $400,000 (about $9 million in 2014 dollars).The Ringling Brothers and Barnum & Bailey circuses ran separately until they merged in 1919 forming the Ringling Bros. and Barnum & Bailey Circus. The Tufts University Biology Building is named in honour of Barnum. Jumbo eventually became the mascot of Tufts University, in honor of Barnum's 1889 donation of the elephant's stuffed hide. In 1936, for the centennial of the city of Bridgeport, Connecticut, his portrait was used for the obverse of the commemorative Bridgeport Half Dollar. The Bridgeport-Port Jefferson Ferry company operates three vessels that run across the Long Island Sound between Port Jefferson, New York, and Bridgeport. One of those three ferry boats is named "The P.T. Barnum." To honour the 200th anniversary of Barnum's birth, the Bethel Historical Society commissioned a life-size sculpture, created by local resident David Gesualdi, that stands outside the public library. The statue was dedicated on September 26, 2010. Barnum is widely credited with coining the phrase - "There's a sucker born every minute".